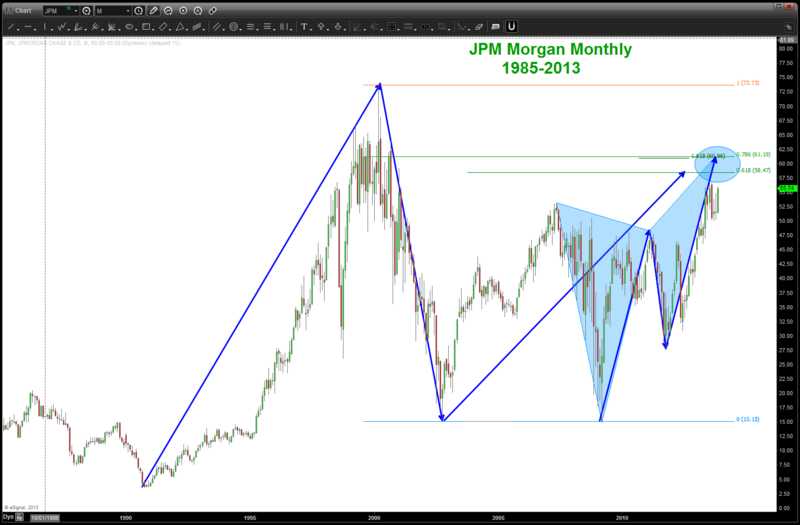 Folks, almost a year ago this pattern was ID’d on JPM … pretty crazy hugh? here’s the updated chart – pattern appears to be hanging in there. any daily close above, say, 63 would be a pattern failure IMHO. so, for whatever reason, way before it ever got to the NUMBER 61, a simple PATTERN RECOGNITION dude ID’d the pattern and pointed it out …. let me know if you want to push the I believe button …. one last chart .. actually presented this chart at the MTA’s annual symposium and it’s the EXACT LOW (real time) of the JPM low in 2009.